One of the things about the early success of the online poker states in the USA is that other sites will be looking to get a piece of the action. Even if states have held a stance against the influx of gaming, the realisation of how much money can be brought into the local economy is likely to turn many state official’s heads around to the idea of what gaming can bring to the local people and population. In the current economic climate, the economic outlook has to be at the centre of the way a local authority thinks. This is why online poker is likely to become one of the most important discussion points over the year for a number of states. It seems as though the Gaming rulers in Iowa are going to study the impact of internet poker in Nevada as well as how online gaming goes down in Delaware and New Jersey. This will provide the rule makers with the chance to see what is working and what is not. They also want to see if there is an impact on states situated close to these gaming states and all of these elements will come into play for drafting up the bill to be considered next year. There is no doubt that online gaming is a serious proposition for most states and it is good to see that it is being considered with respect and due care. It could be too easy for some states to decide that online poker is where the money is at and go all in to stimulate the economy. Online poker can bring a considerable number of benefits but it shouldn’t be considered in a way that it is just a cash cow ready to be milked for the good of the economy, there is a lot more to it than that. 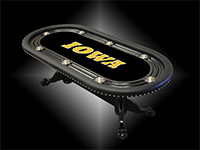 Iowa should also consider the opinions of players and businesses that have been in the online poker industry for a number of years. The input of people associated with the Bovada.lv online poker community should carry some weight and this will give any law maker a feel for what people genuinely feel about online poker. It is not as though politicians and law makers are too concerned about the actual man in the street but given the ramifications and implications of online poker for the local population, it would make sense to try and reach out to people who are going to be impacted by any impending change to the way that poker is available online. Iowa is not the only state that is looking to give online gaming and poker proper consideration this year. California and Pennsylvania are both said to be working hard on gaming proposals for the year ahead. There is also a lot of talk and rumour that New York, Florida and Illinois are looking into what impact online poker play will have on their community as well. 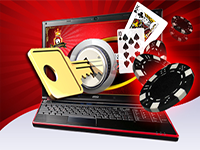 There is no doubt that American poker players are waking up to the fact that online gaming is here to stay.